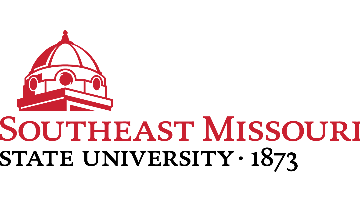 Southeast Missouri State University, a dynamic and competitive regional public comprehensive institution located in Cape Girardeau, Missouri, invites nominations and applications for the position of Provost. The new Provost is to assume office in July 2019, or as soon thereafter as is possible. Founded in 1873 as a teacher’s college, Southeast Missouri State University has grown into a comprehensive Master’s level university that provides student‐centered education, with a foundation of liberal arts and sciences, experiential and service-learning opportunities, cutting-edge technology, and exceptional instruction that prepares students for civic responsibility and professional careers. The Provost serves as the chief academic officer of the University and reports directly to President Carlos Vargas. The Provost has primary responsibility for leading the overall administration and promotion of academic excellence in the faculty and academic programs of the University, as well as to continue to strive for efficiency in instructional operations. The Provost also provides overall leadership and coordination for the academic departments, colleges, as well as the library, and is a member of the University President’s Executive Staff. Direct reports include the Associate Provost for Academic Effectiveness and Student Success; the Coordinator of Academic Operations; an Executive Assistant; all five academic deans, which includes the College of Education, Health and Human Studies, the College of Humanities and Social Sciences, the Harrison College of Business and Computing, the Holland College of Arts and Media, and the College of Science, Technology, Engineering and Mathematics; the Dean of the Regional Campuses and the Dean of Kent Library. Candidates must be eligible for appointment at the rank of Full Professor to an academic department at Southeast Missouri State University. Candidates must have demonstrated, through previous professional achievements, the ability to plan and implement innovative instructional programs; the ability and willingness to explore new academic programs; and experience with institutional or academic unit-level accreditation processes; evidence of proficiency in and proponent of data-based decision-making; skill in fiscal planning and resource management; excellent communication skills and a confident and comfortable public presence. Candidates must demonstrate a track record of and experience in supporting diversity, inclusivity and equity with diverse faculty, staff and student populations. Candidates must also possess a demonstrated commitment to student success, including a record of collaboration with student services professionals; and a demonstrated commitment to working at a public university that educates a diverse constituency of students, many of whom are first-generation college students. The successful candidate should also be prepared to address the current and future leadership opportunities and challenges facing the University, including, but not limited to: fostering diversity and inclusion through curriculum, student success initiatives, and faculty professional development; reducing barriers to innovation and collaboration, across departments, colleges, traditional and nontraditional programs, and other areas throughout the University; improving student success and satisfaction, including supporting the University’s recruitment, enrollment, retention and graduation initiatives; recruiting deans for the University’s colleges; and assessing and managing the organizational structure, effectiveness, responsiveness, and financial health of all areas of Academic Affairs. For a complete position profile, please visit: www.semo.edu/hr/provostsearch. Applications should consist of a cover letter, a one-page statement of leadership philosophy, curriculum vitae, and the names, e-mails, and current phone numbers of five professional references. References will not be contacted without the explicit prior permission of the candidate. Applications and nominations are to be submitted in confidence to Alissa Vandeven, Director of Human Resources at Southeast Missouri State University, at avandeven@semo.edu. The position will remain open until filled, but only applications received by March 7, 2019, will be assured full consideration. Confidential discussions about this opportunity may be arranged by contacting Alissa Vandeven, Director of Human Resources at Southeast Missouri State University, at avandeven@semo.edu. Southeast Missouri State University is an Equal Employment Opportunity/Affirmative Action Employer.